One of the biggest reasons to love stackable dining chairs is that they offer a perfect furnishing solution for an expandable dining table. Just stack the chairs you do not need at the moment and use them only when the table is extended. Even if you are not going to stack the chairs away, handle-free design offers a very space efficient decoration idea, helping you to avoid furniture clutter and making the room look larger. If you are still planning to keep some of your stackable dining chairs, this kind of design will offer one of the most reasonable, compact storage solution — you might even keep the stack in one of your room corners. Despite the absence of handles and very compact design, stackable dining chairs are still fully functional models that offer great back support and are comfy to lean onto. There are plenty of different designs to choose from in stores — basically, any slime chair without handles can be considered stackable. 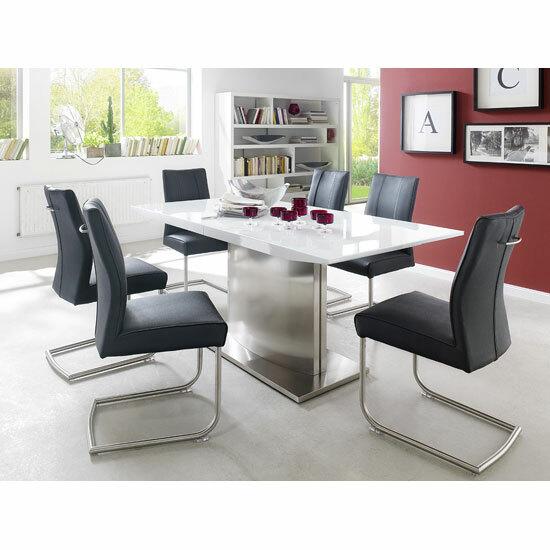 One of the most common examples of stackable dining chairs are chairs with thin chrome or metal legs. Despite their simplistic design, these chairs can accessorise any dining room (here you will find more ideas on the subject). However, there are also different designs and materials, including wood, plastic, as well as different upholstery types. 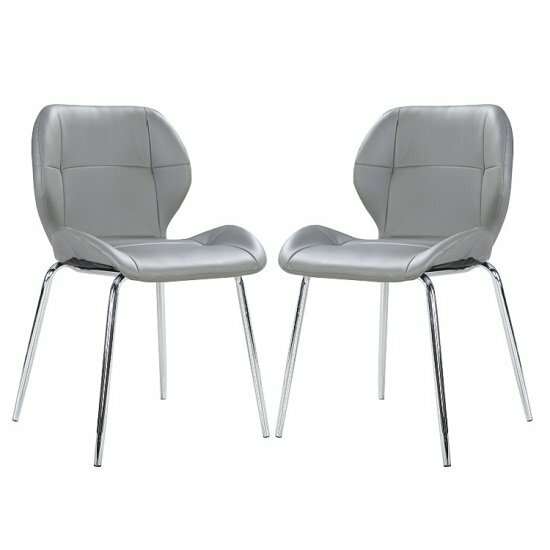 Slim, stackable chairs are quite popular and are generally available in the variety of colours. This fact gives you a chance to get a little bit more creative with your colour palette and create bright accents in your dining room interior. If you choose to go with plastic stackable chairs, they will offer you a truly fantastic decoration solution for the outdoors, making your summer evening cosy and enjoyable. Plus, storage will not be a problem! One more reason to love stackable dining chairs is that they are portable and easy to move in. If you rent property, this is an excellent idea that will make your moving in/out easier. Finally, stackable dining chairs are not at all fancy, which means that they are usually affordable. Sure, the end price of stackable dining chairs will mostly depend on the store you choose. So, you might want to find some time to sneak a quick peek at Furniture in Fashion — one of the biggest e-commerce platforms in the UK, offering a gorgeous selection of furniture for a variety of interiors at reasonable prices.